The old Casino was built in 1895. It developed into a popular venue: many musical performances and dances were held there. 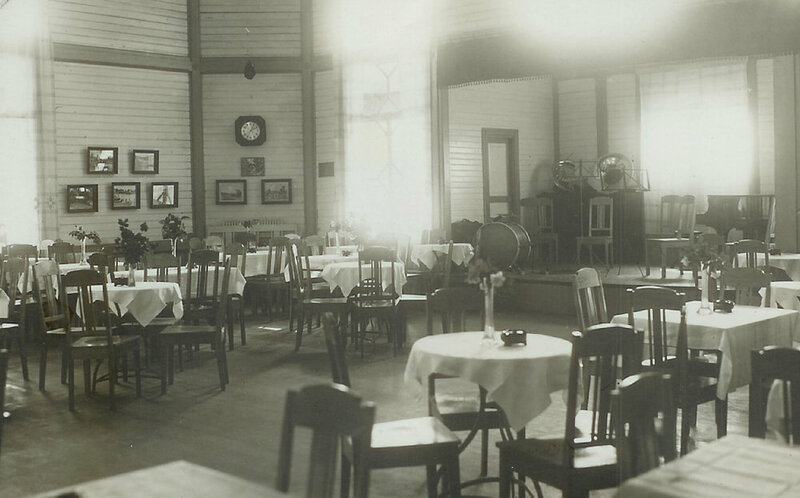 In its early days the Casino veranda was still open, it is vitrified in 1936 to give extra space for the restaurant hall. The old Casino was demolished in 1975. The new current RantaCasino building was built in 1990 and has been in the restaurant business to this day. Heinola baths worked from 1892 to 1944, (52 years). 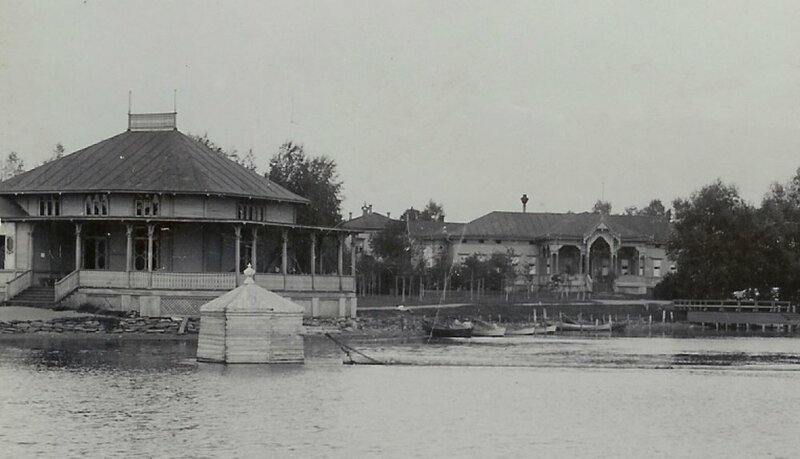 The first spa was a romantic wooden building (in the background in the first picture). Each year, the number of bathers ranged between 150 and 750. The best years were the years 1914-1917, when more than half of the clients were Russian aristocrats. Baths were popular in Heinola and most of the international guests were accommodated in hotels but also in private homes. The old wooden spa building burned down in May 1930, just weeks before the planned season opening. The fire was suspected arson. The new spa, a stone building was completed in 1931. The new building represented the completion of new thinking and technology to the spa building. The new spa also had a beach. One of the young people's sports and entertainment venues on the beach was the beach spa water toboggan built in 1915 (see picture on the bottom left ). The picture below is from inside of the old Casino.